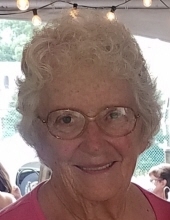 Patricia Kay “Penny” Caldwell (Harper), 76, of Elizabeth died peacefully surrounded by family on April 11th, 2019. Loving mother to Alan Caldwell, Glenn Caldwell (Melissa), Kristen Caldwell, and Shawn Caldwell (Mary Ellen). Beloved Grandmother to Kevin Caldwell, Jonathan Caldwell, Corrine Caldwell, Steven Caldwell, Matthew Hiber, Timothy Hiber, Amanda Rutt, Rebecca Bytner, Ashley Caldwell, and Michael Caldwell, Great Grandmother to Chloe Caldwell, Makenzie Caldwell, Hudson Rutt and Rhea Hiber. Preceded in death by her parents Patrick and Katie Harper, survived by her sister Mary Alice Casey (James) and nephew Jamie (Jennifer) of Maryland. Penny was an avid Pittsburgh sports fan who loved spending time with her family and friends and relaxing at camp in Portersville. After retirement from PNC Bank in Caste Village, Penny served as a transportation aide to special needs children with Matthews Bus Co. Penny’s kind soul touched the heart of everyone who knew her. In lieu of flowers, please consider donations to Animal Friends of Pittsburgh, https://www.thinkingoutsidethecage.org/. Friends and family will be received Tuesday, April 16th from 4:00 – 7:00PM, immediately followed by a memorial service at Jefferson Memorial Funeral Home, 301 Curry Hollow Rd, Pittsburgh, PA 15236. "Email Address" would like to share the life celebration of Patricia Kay " Penny" Caldwell. Click on the "link" to go to share a favorite memory or leave a condolence message for the family.